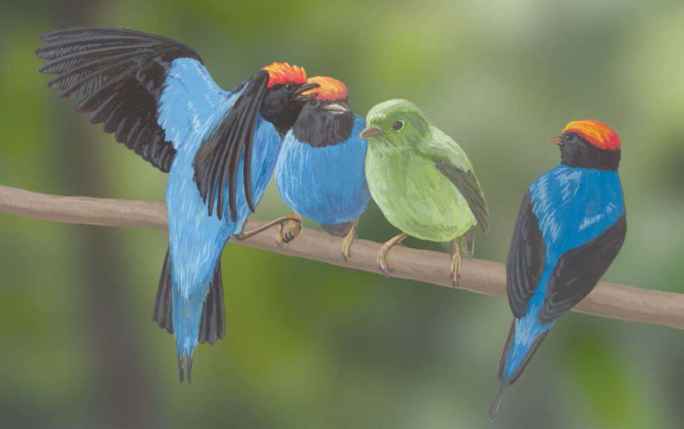 Manakins do not form a lasting pair-bond, but are polygamous, using a leh (courtship area) where females choose and mate with a male. 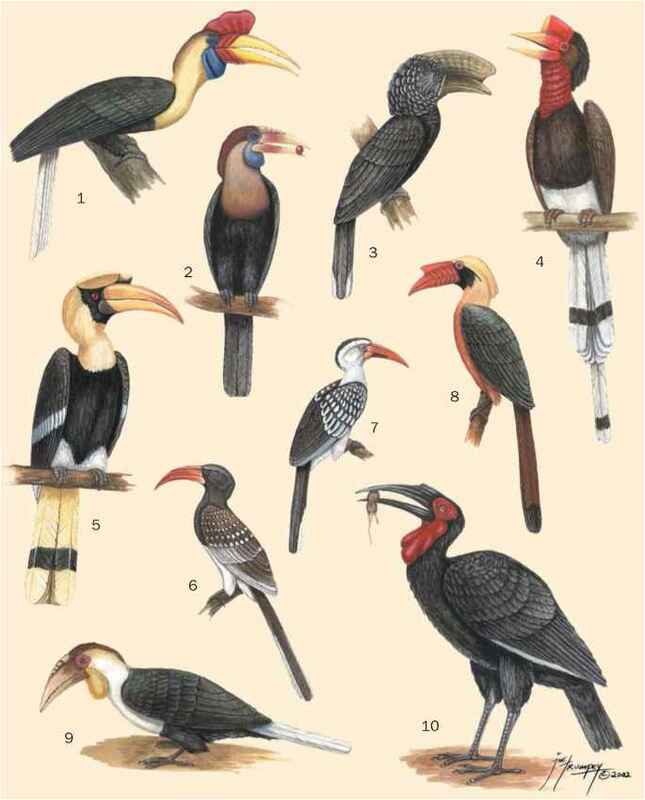 After copulation, the females fly off alone to build the nests, incubate the eggs, and raise the young. The nest is constructed using woven fibers and grasses to form a tiny hammock in small trees or ferns usually over water. Incubation lasts from 17-21 days, with short fledging times of 13-15 days for one to two young.